Hi I’m Bob Huebner, a senior trainer and consultant for Corporate Education Group with more than 20 years of experience as a training and development professional. Increased self-reliance and responsibility for personal and professional development. While action learning is a very effective method for development, there are also instances in which it may not be appropriate. For example, if your sponsors are concerned about project efficiency over the application of learning, action learning might not be right for the situation. Action learning can take many forms and can be used at all levels of leadership on projects ranging from small and tactical to those that are broad and strategic. It is wise to balance the risk with the benefits and to match the level of the learners with the scope and complexity of the project when considering an action learning approach. Small, diverse project teams seem to work best. 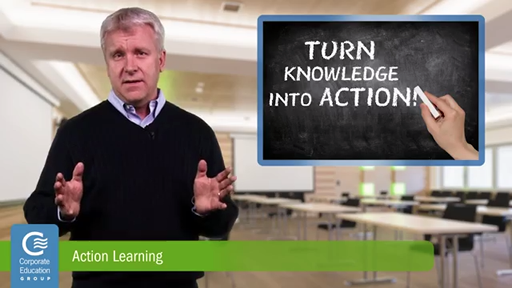 Overall, action learning is an excellent way to improve the knowledge and skills of individuals whom you want to grow within your organization; just choose the appropriate form, time and project to apply this tactic.